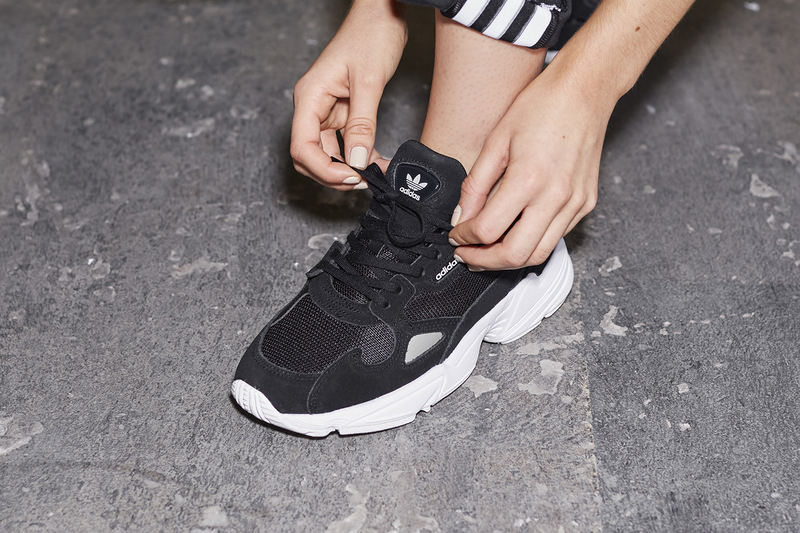 For those not already aware, the new adidas Originals Falcon is actually an adaptation of 1998’s original Falcon Dorf silhouette, a series of running shoes that released during an especially strong period of the brands running output. Colourways were especially vibrant and all sorts of different shapes were being introduced, some a bit more abstract than others. Fast forward 30 years and the DNA see’s an upgrade for the ladies (alongside the release of the Yung-1 which is as close to the original as we can hope to get. Using the same midsole unit as a foundation (albeit with a few branding tweaks) the Falcon’s upper follows similar design sensibilities to the OG, even taking a few of the existing panels and slightly moulding the shape for a more feminine look. The three-stripe branding has been stripped from the side in place of a mesh panel. 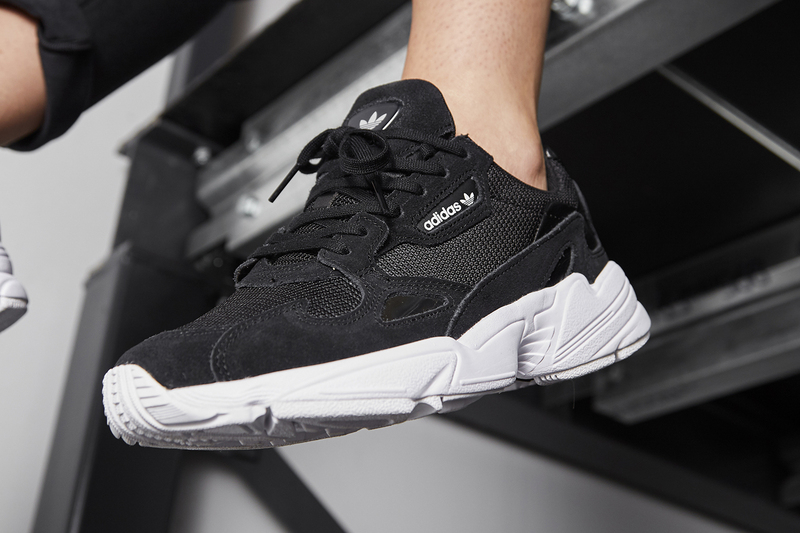 Following a host of brighter colourways, this latest release has been stripped back to monochrome, teaming black suede, mesh and leather together for a simple clean execution. 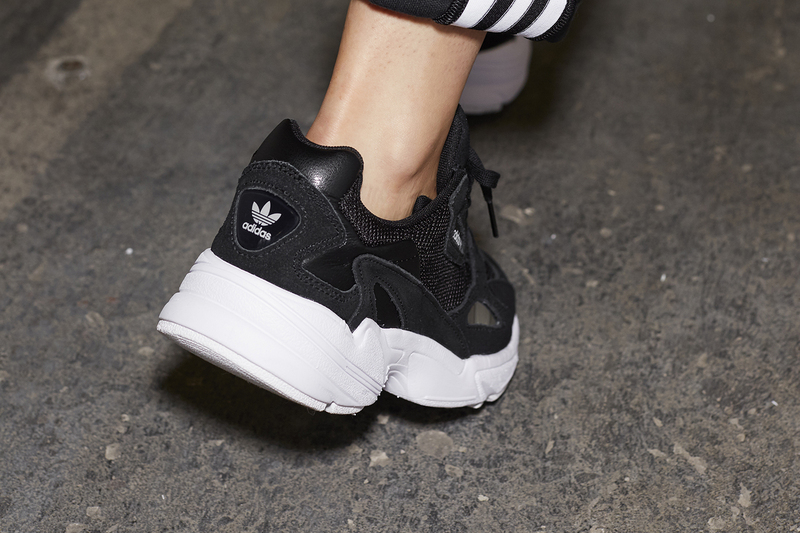 The adidas Originals Falcon will be available via size? previews and in size? stores on Thursday 6th September, priced at £85.